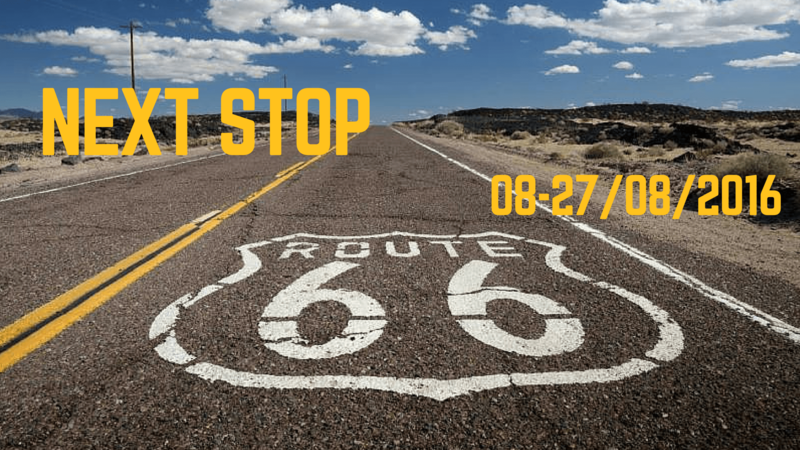 If you are reading this page, you probably are a blogger from one of the towns crossed by legendary Route 66! Second, we would like to introduce ourselves before giving you info about the project. We are Alessandra & Davide, founders of Sognando Caledonia, an Italian travel blog telling our trips in a funny and ironic way. Alessandra is newly bride with a strong passion for traveling, discovering new cultures and learning new languages. Loves backing and singing and hates super tidy people. Davide loves sports, pasta and…his bride! Can’t suffer other team’s supporters and in a future life would like to be the ACDC bass guitarist. Still interested in the project? Keep on reading! 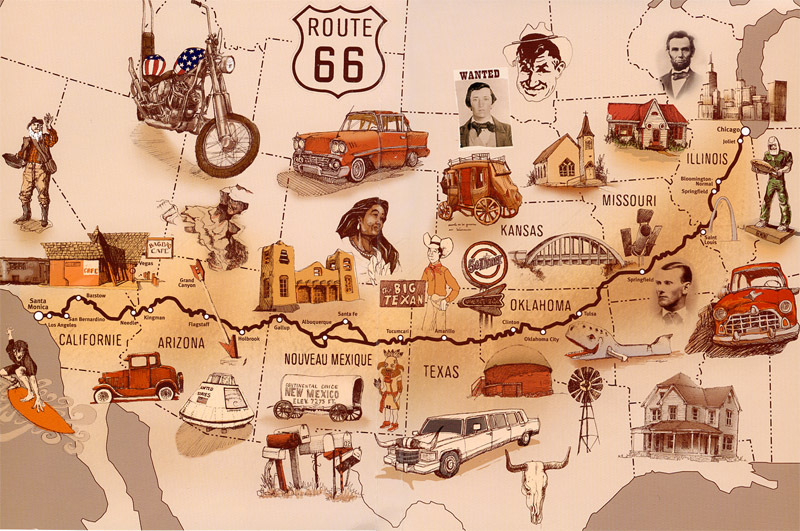 In August 2016, we will be travelling by car through the Route 66. We will be sharing our pictures and telling our trip, but this is just a small part of our plan. The main purpose of the project is meeting and spreading the history, culture and traditions of the places we are going to visit. And here is where you may help us! How? First of all, without stress or feeling forced to do anything! It’s not a job, it’s about passion! Are you looking for something you can earn money from? Sorry, we can’t afford that. Are you willing to share info about your city, your culture, your traditions? Would like to help us spreading them? Believe in our project? Then, you are the right person! The project will involve other bloggers from our country (Italy) and from all over the world. They will choose one city/town/point of interest of our trip and will describe it from their own point of you, but everything will start from you, your blog, your articles, you posts! We will ask you to write something about your city/history/traditions, share it with your fans and confirm or discredit other blogger’s expectations about the place you are from. Maybe, some of them will want to interview you…It will be all about interaction! All the partecipants will have the opportunity to introduce themselves and their blog on Sognando Caledonia and will be part of an international project. After the trip, we are going to collect blog articles, social media posts, pictures, and create a…container. What kind of container? We’ll decide it according to the amount of content we’ll have, but we promise you won’t be disappointed! Want to be part of it? Fill in the following form or write an email to sognandocaledonia@gmail.com. And, of course, look for the hashtag!